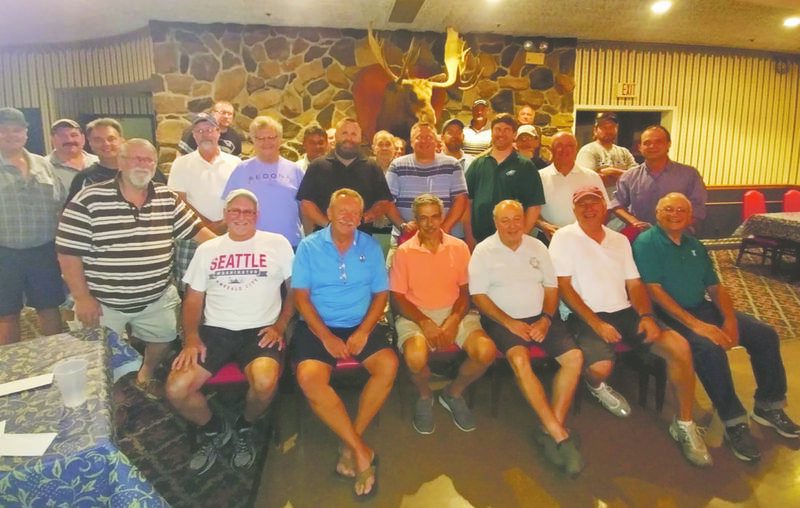 Submitted Photo Pictured above are members of the Dunkirk Moose Golf League, including sitting third from left, Mark Gugino, who has played every year in the league since its inception. North Collins at Westfield, 5 p.m. The Dunkirk Moose Golf League recently concluded the golf season commemorating the league’s 25th year. This year’s 2018 Dunkirk Moose Club Champions are Dave Criscione and Dave DeJoe. Second place winners in the team event were Steve Dando and Chris Kokoszka and finishing in third place were the team of Gordy Haight and Steve Dudek. Golfers continue to play every Wednesday — weather permitting. Tee off at 11 a.m. on the Hillview side of the Vineyards Golf Course. On Wednesday, golfers will meet for lunch at Bob Evans after golf.